Erika R. Royal practices civil and commercial litigation with an emphasis on representing management and corporate clients in employment, civil rights, breach of contract and non-compete litigation. Ms. Royal represents employers in state and federal courts and administrative agencies (EEOC, FCHR, NLRB) on matters arising from Title VII of the Civil Rights Act of 1964, the Americans with Disabilities Act, the Family and Medical Leave Act, the Age Discrimination in Employment Act, the Fair Labor Standards Act, the Whistleblower Act, Florida's Workers' Compensation Retaliation statute and other federal, state and local antidiscrimination and employment-related statutes. In her practice, Ms. Royal also counsels and advises management on all aspects of the employment relationship, including employment contracts, audits, management training, employee handbooks and policies, performance evaluations and compliance with federal, state and local employment laws. 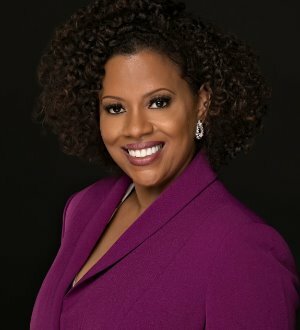 She has experience representing clients in a broad range of industries, including financial institutions, transportation, hospitality, health care, technology, and retail. Ms. Royal participated in Holland & Knight's 2007 Rising Stars program, an intensive and dynamic educational, leadership, and marketing training program designed to promote women within Holland & Knight. She also serves as a coordinator for the Fort Lauderdale Women's Initiative program, which is part of Holland & Knight's commitment to diversity. Ms. Royal was recently selected to represent Holland & Knight in the Leadership Council on Legal Diversity's 2014 Fellows Program.